One thing I cherish when working away from home is on my down time I can do things for myself I don't always have an opportunity to do while at home. For one, I actually started and finished a book! This book a gift from a friend of mine over a year ago and I finally had the opportunity to read it. It's a wonderful story about being a mom, I laughed and cried and completely related to the joys (and fears) of motherhood. 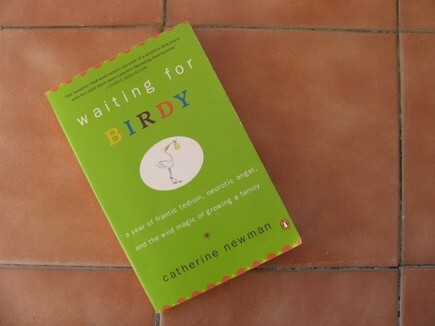 Waiting for Birdy by Catherine Newman. This book is up for grabs. If you're interested in reading it, I will send this to the first person to comment saying they would like it. 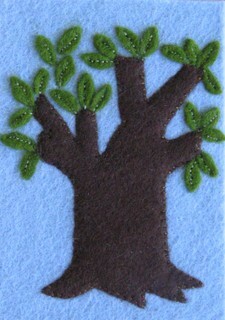 I've also found a little time to make some ATCs. Anyone interested in a swap? 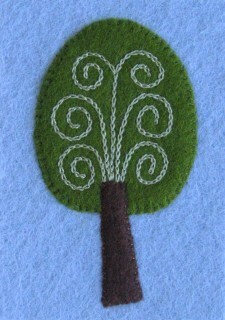 These are felt and embroidered trees are up for trade. Just let me know if you're interested. Congratulations to Jenna-you will get the book. And Jen-thanks for swapping ATCs.